Thanks, Steve. 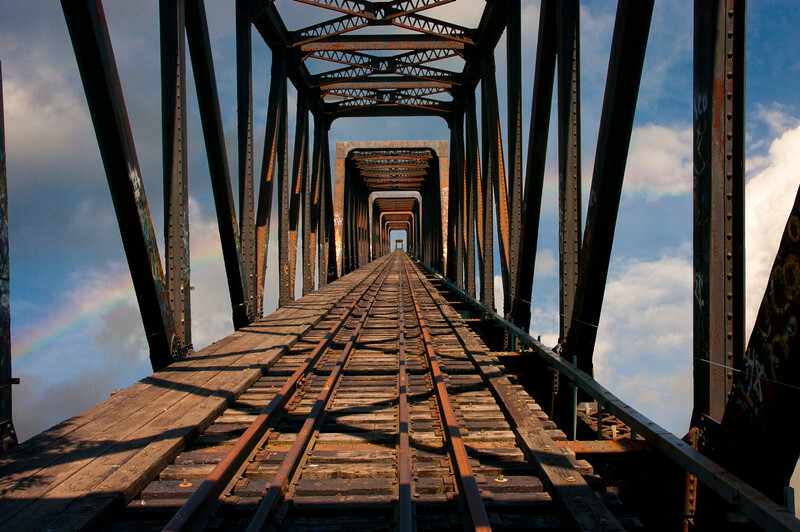 It is the abandoned RR bridge across the Ottawa River just west of downtown. Background is a separate image. Lots of careful work to create, but It has been a show selection and one I particularly like. 'Took it while biking (and looking for photo pop's). The bridge has since been fenced off. Brings to mind "Homeward bound" Love this photo- captivating!